What Should be on American Money? Because Americans are filthy republicans, they lack the face of a Divinely-Selected Monarch to grace their banknotes. As such, they have used anything from generic Native American to presidential election losers. 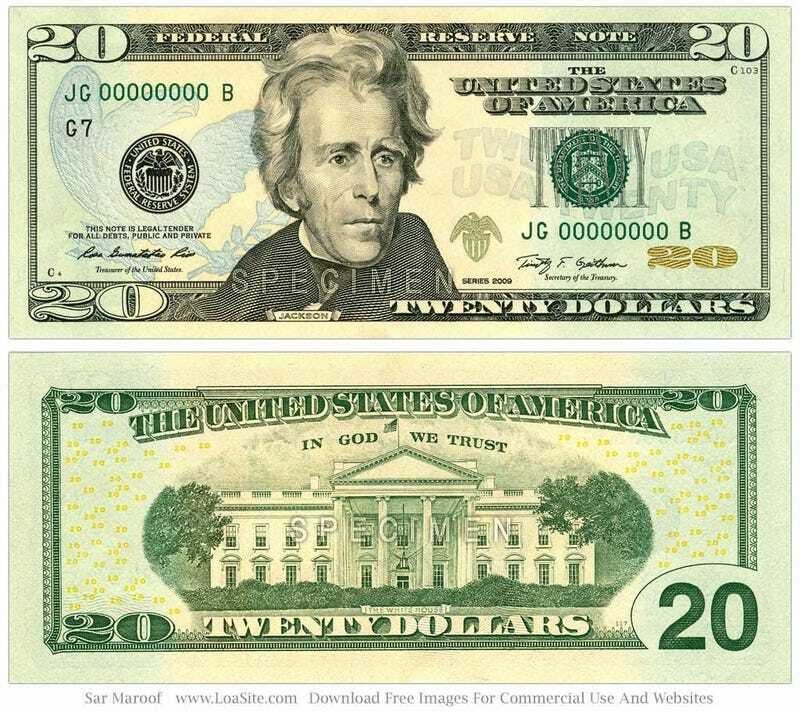 But with the news that abolitionist Harriet Tubman would replace federal-bank-opponent Andrew Jackson on the $20, Americans should prepare for further changes. Along with their utilitarian use for procuring car parts and tacos, banknotes serve as symbols of national pride and priorities. So, let’s consider what future changes should happen to the other bills. Already a banknote alumnus, Mr. Fulton developed the first American steamboat and built the first practical submarine for Napoleon. Like cars, boats are neat and fun modes of transportation, and without Mr. Fulton, drinking beer on the lake would involve polo shirts and sailing-bros. The mastermind of two icons of American Motoring, the Mustang and the K-Car, defined how American industry is viewed around the world. Furthermore, the most famous Mustang of all, the star of Bullitt, is already green. One of the first stars of silent film, Ms. Lawrence’s inclusion would fit the global trend of putting cultural figures onto banknotes. More importantly, she is credited for inventing the turn signal. Her on a banknote would be a subtle reminder for all German tourists and diplomats to drive safely while in the United States. Currently the Vice President of Global Design for General Motors, Mr. Welburn started his career at the firm in 1972. Furthermore, he served as the executive director of all body-on-frame projects at the General, and we love body-on-frame. His career spanned the Muscle Car era to the Malaise era to the president day, mirroring the ups and downs of American History. Furthermore, having a GM employee on banknotes would make Government Motors actually mean something. Featuring people on money creates problems. There are only a handful of banknotes but countless historical figures worthy of gracing them. The obvious solution is to replace people with cars, and the Third-Gernation Ford Taurus is an iconic American car that will make no one angry.